Real domestic battery — wife beating, husband beating, child abuse — is a serious offense. Spousal abuse sometimes escalates to the point of no return, taking lives and devastating families. But when are family violence charges exaggerated? You may have been arrested on domestic battery charges of spousal abuse or assault after an unhappy encounter went from bad to worse. To schedule a consultation with an experienced Illinois attorney regarding domestic battery (domestic violence) defense, contact Ronald L. Bell & Associates, P.C. in Libertyville, Illinois, for a prompt response. Was it Really Domestic Battery? Why is the Law Involved? Many forms of domestic discord which are called domestic battery are, in fact, often simply the result of arguments that get out of hand. Shoving, name calling, threatening, and disrespect are regrettable in human relationships. But when the law gets involved, a new set of problems develop. Protect your access to your home, your children, and a more trouble-free future through the experienced counsel of an attorney if you are facing domestic battery charges. Criminal defense attorney Ron Bell has helped many people who were accused of family violence to obtain reduced charges — and often, charges are dismissed after the facts come to light before a discerning judge. In one notable case, Attorney Bell succeeded in vacating domestic battery charges from the past when unjustified convictions from the past threatened to derail an immigrant woman’s plans to remarry several years after the end of a previous, unhappy marriage to another American citizen. Attorney Bell will evaluate the individual and unique circumstances involved in your domestic battery arrest. Through his experienced counsel, explore your legal options . . .and assure the courts that your domestic problems can be resolved outside the legal justice system. The law offices of Ronald L. Bell & Associates, P.C. 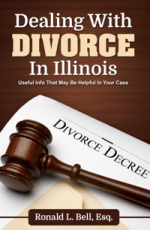 has decades of Illinois criminal defense and family law experience with spousal abuse, domestic violence and battery charges. Contact us by email or by phone at 1-847-495-6000 for a confidential consultation.